Going on holiday? Don’t forget to get your travel insurance before you go! Our policies are among the most competitively priced in the market – you’d be surprised how much you could end up paying elsewhere. 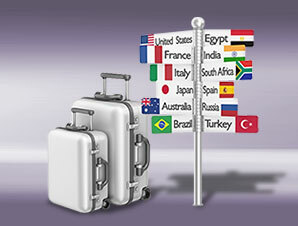 We can offer cover for pre-existing medical conditions, all age groups, any destinations, single and annual multi-trip. For full details of our travel products, please contact our staff at Nelson Jordan Insurance where they will be happy to assist you.